Home » LG » LG V40 ThinQ Advantages, Disadvantages, Review – Flagship All Rounder !! 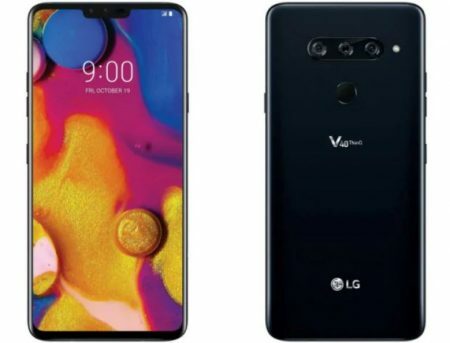 LG V40 ThinQ high-end smartphone launched into the market. So, check out LG V40 ThinQ advantages (Pros), disadvantages (Cons), problems and drawbacks/defects before purchasing. Currently, it is not available on online shopping sites like Flipkart, Amazon to buy. LG V40 ThinQ comes with latest Android OS, v8.1(Oreo). It offers 6.4-inch P-OLED capacitive touchscreen with a good screen-to-body ratio of 83.6% and Multitouch in it. Its display has superb pixel density for its Quad HD resolution(~537 PPI) with 19:5:9 aspect ratio. Supports Dolby Vision/HDR10 compliant and Always-on display. LG V40 ThinQ comes with LG UX 7.1 user interface which offers great features. The device is very lightweight to carry with just 169g and 7.6 mm in thickness. LG V40 ThinQ has equipped with powerful Qualcomm Snapdragon 845 Chipset and the performance is very smooth with no lags. Brings an internal memory of 64/128 GB and expandable memory is supported up to 512 GB (uses dedicated slot). 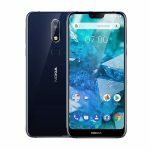 It offers Triple 12 MP (27mm (standard), f/1.5, 1/2.6″, 1.4µm, 3-axis OIS, dual pixel PDAF) + 12 MP (52mm (telephoto), f/2.4, 1.0µm, 2x optical zoom, OIS, PDAF) + (16 MP, 16mm (ultrawide), f/1.9, 1/3.1″, 1.0µm, no AF) rear camera with additional features like LED flash, HDR, panorama. The main camera supports quad HD video recording at 2160p@30/60fps, 1080p@30/60/240fps, 24-bit/192kHz stereo sound rec., HDR video, gyro-EIS. It offers Dual 8 MP (26mm (standard), f/1.9, 1.4µm) + 5 MP (21mm (wide), f/2.2, 1.4µm) front-facing camera with additional features like HDR. The selfie camera supports full HD video recording at 1080p@30fps. It has the battery capacity of 3300 mAh(Non-removable) which is good for heavy usage. Supports Fast battery charging, 50% in 36 min (Quick Charge 3.0) and Fast Wireless charging 10W. Supports almost all connectives like Wi-Fi, Bluetooth 5.0, USB Type C, 3G, 4G, NFC. Supports sensors like Fingerprint (rear-mounted), accelerometer, gyro, proximity, compass, barometer, color spectrum. It is available in New Platinum Gray, Carmine Red, New Aurora Black, New Moroccan Blue colors to choose. LG V40 ThinQ supports additional features like Active noise cancellation with dedicated mic, IP68 certified Water and dust resistance, MIL-STD-810G compliant, aptX HD. No Android 9.0 Pie out of the box. LG V40 ThinQ smartphone comes with superb features & performance for its price. It excels in all the departments, we suggest grabbing this mobile if you are looking for a good flagship mobile.